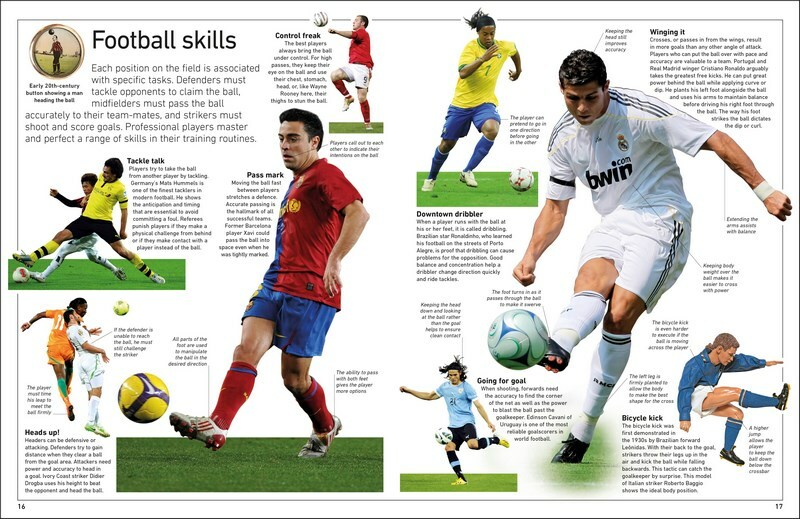 Action-packed pictures help you to relive those moments of glory, while record breakers and national team profiles are listed for quick-fire mastery of famous football history. Results from recent tournaments, including the UEFA Women's EUR0 2017, bring you up-to-date with football facts. 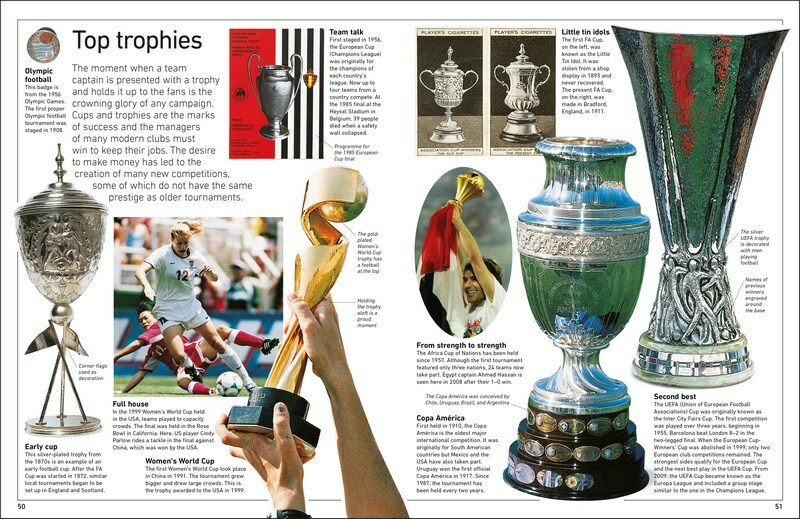 Club shirts and memorabilia are pictured from years gone by, as well as shining trophies, and bite-sized biographies of well-known players, from Lionel Messi to Zinedine Zidane, fill you in on those important details needed to impress. 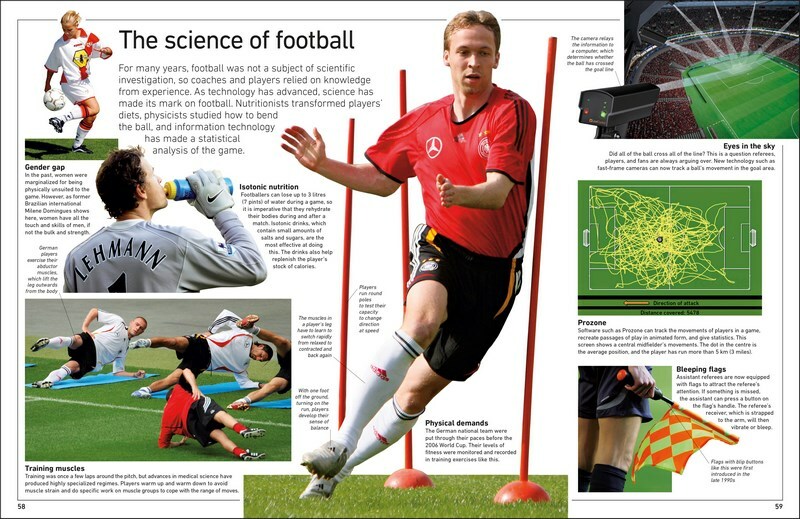 You can also read up on tricky tactics, freshen up your football skills knowledge, and get to grip with the science and technology. 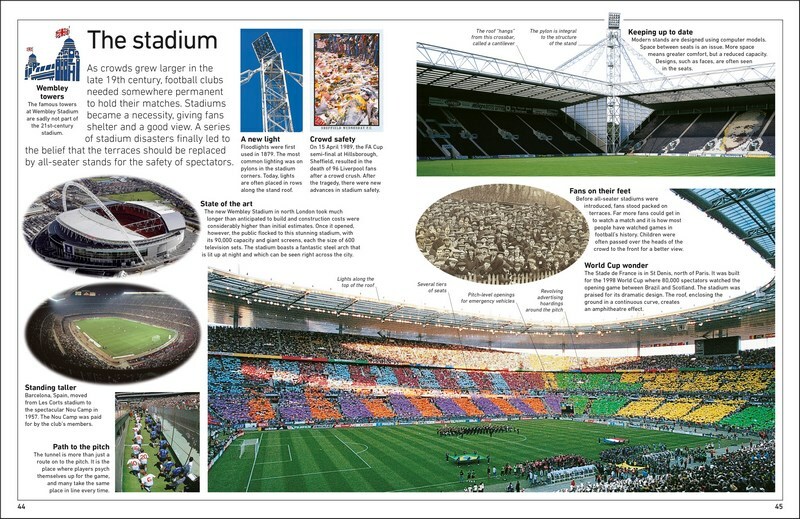 Eyewitness Football also includes a fold-out poster to hang on your wall.